Emergent Telecommunications is a Managed Services Provider for Information and Communications Technologies. As a group company of an international conglomerate, we bring over 20 years of proven professional experience in the fields of Telecommunications and IT infrastructure. In the realm of technology disruption, which is drawing new boundaries the way business is conducted or information is processed, Emergent Telecommunications has taken an early step to be an important link in the new value chain. We consider our technology partners and our customers as “collaborators”, rather then in a buyer-seller concept. With our technology ventures in the field of Telecom/Media/Computing/AI & BI/ IOT, we engage in techno-commercial modelling to the benefits of product developers and end users, alike. We specialize in providing the consulting services for technology product and business planning unto EBITDA. In the current century, connectivity has become the core necessity of functional requirements as well as a basic need. We work with our collaborating customers and partners to offer solutions to enhance, enrich and provision seamless connectivity environments. In the diminishing work-life boundaries and millennials entering into workspaces requires that the workplace should be more “always connected”, “always available”, “personal space of convenience” and “on the go”. Our special focus as part of MSP is to host platforms related to enterprise and SMB that enable these attributes into communication tools. Emergent Telecommunications helps clients align their IT with their business needs. Examining both operate and buy options, we determine the best possible solution in technical and economic terms. Above all, we believe that information technology must serve the core business, not the other way around. We have solution consultants on our executive panel related to ICT, Analytics and Industrial Automation. Based upon specific project requirements, we provide solution development services of diversified portfolio in ICT and Industrial Automation. Whether you are an owner, contractor or investor, you need to deal with a range of requirements during every phase of your construction project. Our project management services provide you with comprehensive supervision, inspection and commissioning services for all types of projects – no matter the size or location. We have certified project management consultants to supervise and manage complex ICT projects. In today’s fast changing market, organizations need to evolve networks frequently to cater for new demands and increase competitive advantage. Meanwhile the ever changing network with generations of technologies, numerous solutions and interdependent configurations is increasingly complex to manage. The ultimate goal of IT operations is to ensure high performing infrastructure that deliver high quality end-user experience. This requires complexity of technology mix and shifts considering business criticality and the emerging requirements from the Cloud and ICT transformation. Our Support Services combine technology leadership with a unique mix of remote and local expertise to enable customers to meet their business objectives. Emergent is pioneering the new wireless network. Introduce the first AI-driven WLAN, making Wi-Fi predictable, reliable, and measurable while delivering amazing indoor location experiences. The BLE cloud is the first truly new approach to wireless in nearly a decade — applying machine learning, data science and the latest cloud technologies to deliver a smart, scalable solution that optimizes the wireless experience (for both the user and IT administrator). Our mission to Provide high-tech vending machines aimed at improving the quality and convenience of retail and industrial services.To improve the image of the city as high-tech service facility.. .
We keep promoting creativity which meets the needs of customers.Our ability to adapt and innovate with networking technology places us at the forefront of understanding connectivity for telco/service providers, businesses and home users. We're building the networks of tomorrow, helping unlock the world's potential and meeting the needs of the modern workplace; powering people at work, life and play. We stand side-by-side with our customers and partners to share new approaches to networking that will unleash their abilities. 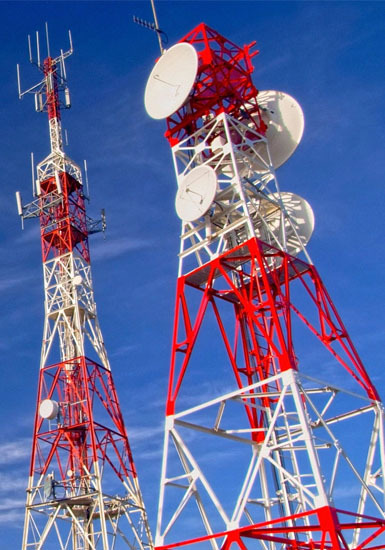 Infrastructure and wireless enhancement solutions to mobile operators and enterprises to enhance and extend their wireless communications networks. End-to-end cloud solutions that has been deployed all over the globe including shopping malls, airports, sports stadiums, government buildings and telecom operator headquarters. We operate in many regions globally, particularly in emerging markets where our trade finance platform solution is heavily in demand. As a result we require a cloud based telephony solution that provides us with the same service everywhere including across mobile devices. Technology innovation has always been the key momentum for the development of US. For we has made magnificent achievements in ICT innovation, At present, Maine can provide total solution from access to aggregation and core layer, from fixed line to wireless field for customers in different industries. Emergent is a global leader of Industrial IoT, with a record of tremendous success following groundbreaking innovation. serves world-class partners and customers with industrial M2M routers, gateways, industrial Ethernet switches, rugged computers and IoT management platforms. We provide IoT solutions for various vertical markets including Smart Grid, Industrial Automation, Remote Machine Monitoring, Smart City, Retail and more. Emergent Telecommunications is a Managed Services Provider for Information and Communications Technologies.